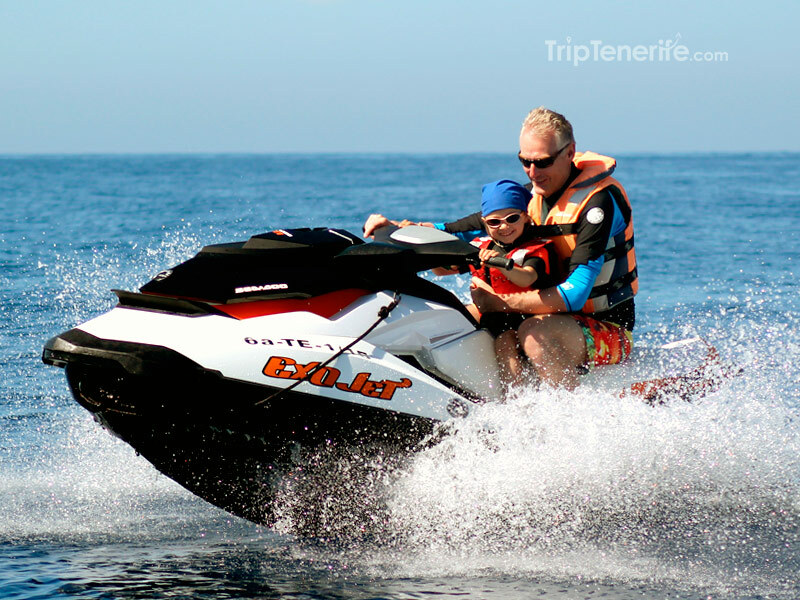 Jet Ski at Puerto Colon - Enjoy the Best Safari in Tenerife - Book online ! 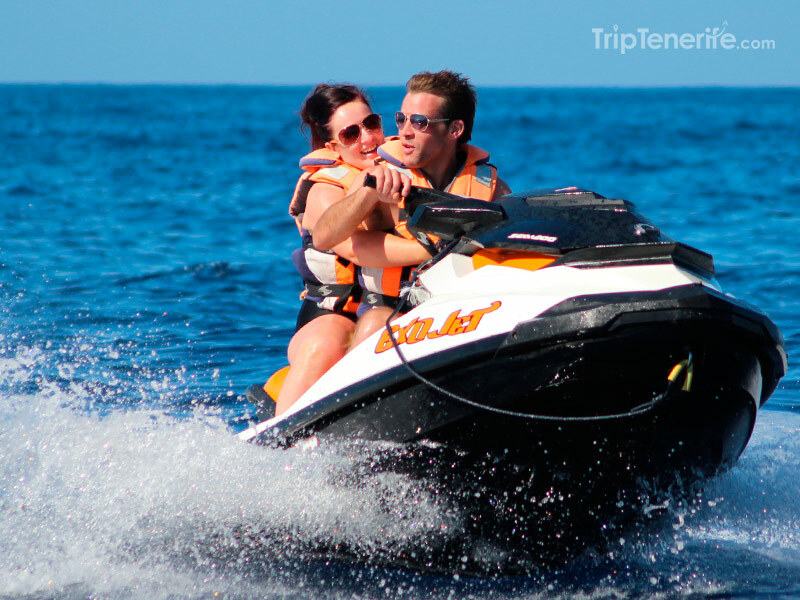 Jet Ski excursion in Puerto Colón is a fully-entertaining adventure and an absolute must-do in Tenerife. 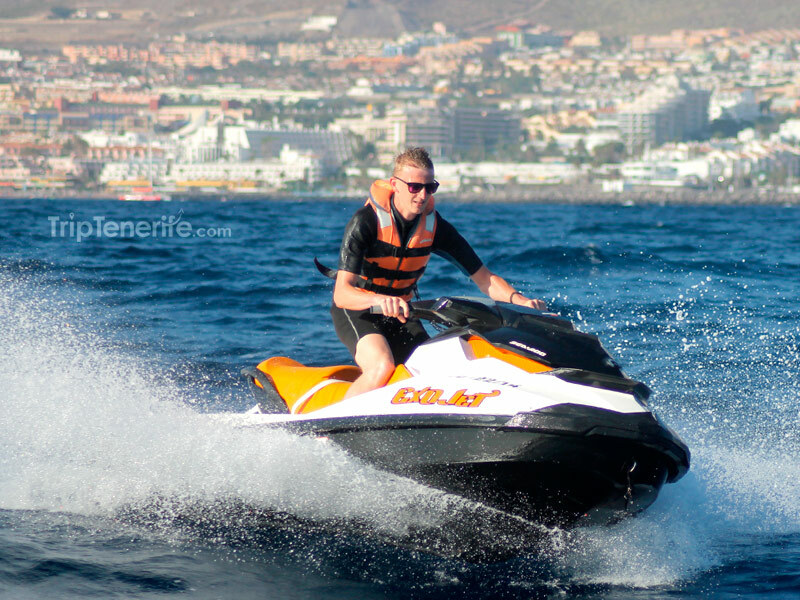 Enjoy this unique opportunity of riding a jet-ski along the Southern coast of Tenerife with a total feeling of freedom and security and the help and support of the instructors and fellow travellers. 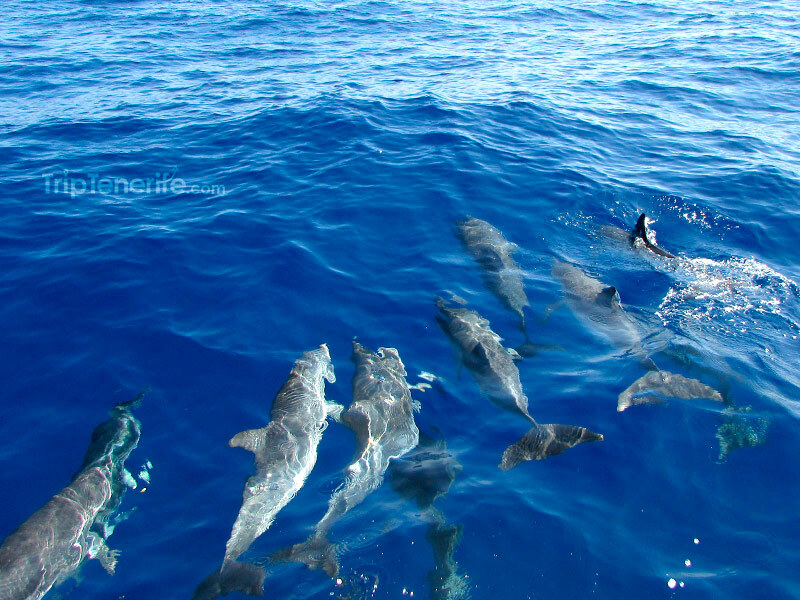 If you are looking for an adrenaline rush and/or enjoy water activities, this excursion is made for you. 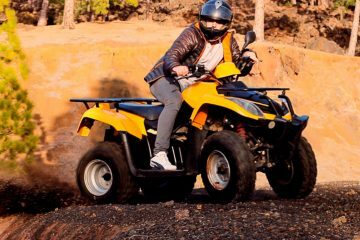 During the whole morning, you will learn how to drive those fast and unique vehicles and be able to accelerate and plow through waves while having a blast with the rest of the group. You should not have any doubts about security, as from the beginning of the trip, you are being taught how to drive and what the safety rules are. Plus, you are under permanent surveillance from the instructors in charge of the excursion, with the possibility to talk to them during scheduled breaks. 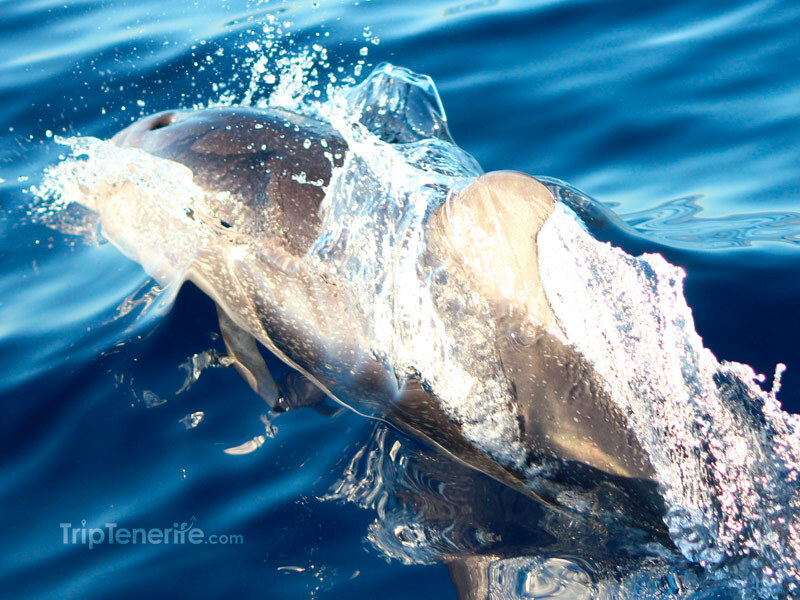 Nevertheless, this amazing adventure is not only about driving a jet-ski; it also gives you the opportunity to spend time amidst the cliffs, having a rest, diving or admiring the exotic marine life of Tenerife. 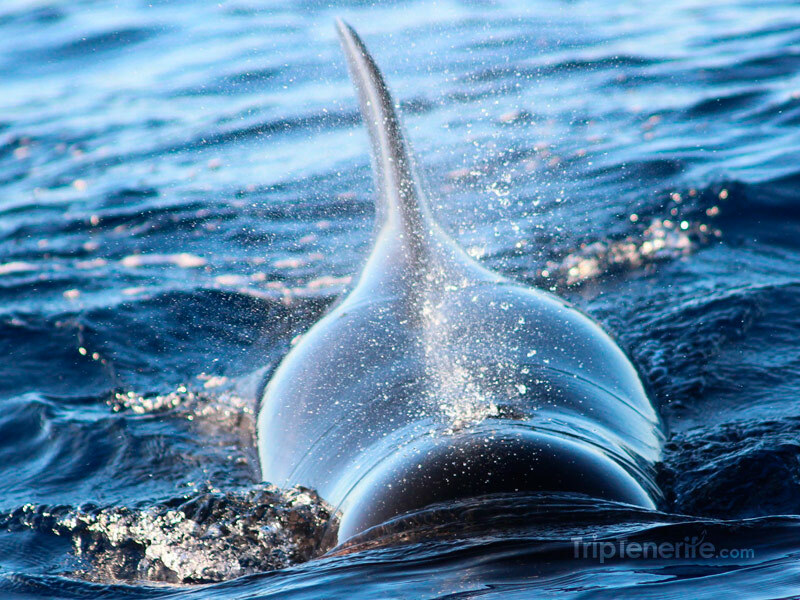 With a bit of luck, you could also spot some of the dolphins that are living in the area. 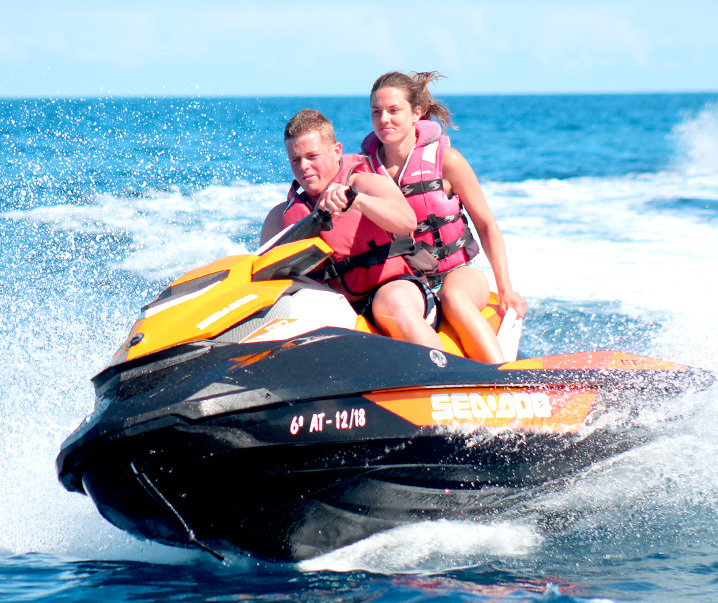 In short, this is a unique and funny experience you will certainly like to relive all over again, either alone or in tandem, as the jet-ski can perfectly seat two persons. As you take turns driving, you will experience the surprising feeling of being copilot and not knowing which direction the driver is taking. 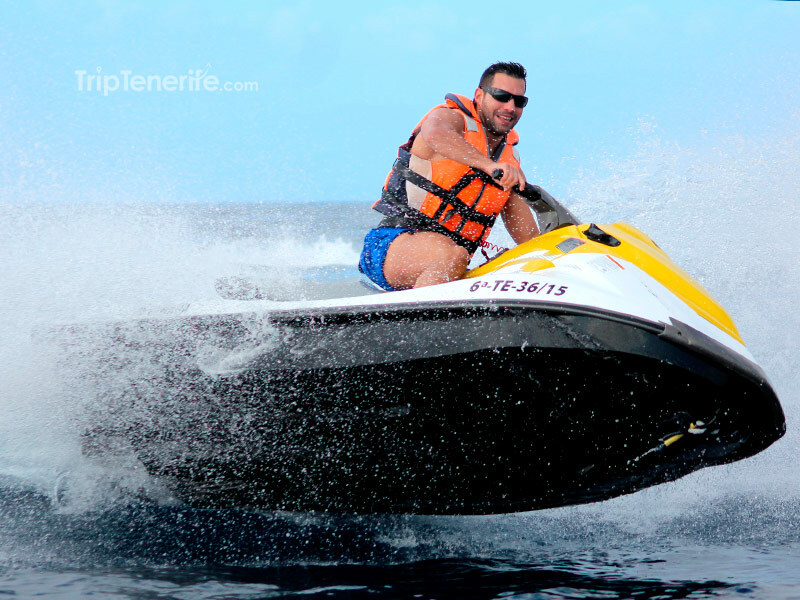 1 hour Jet Ski Safari: From Puerto Colón to the hippy’s beach. 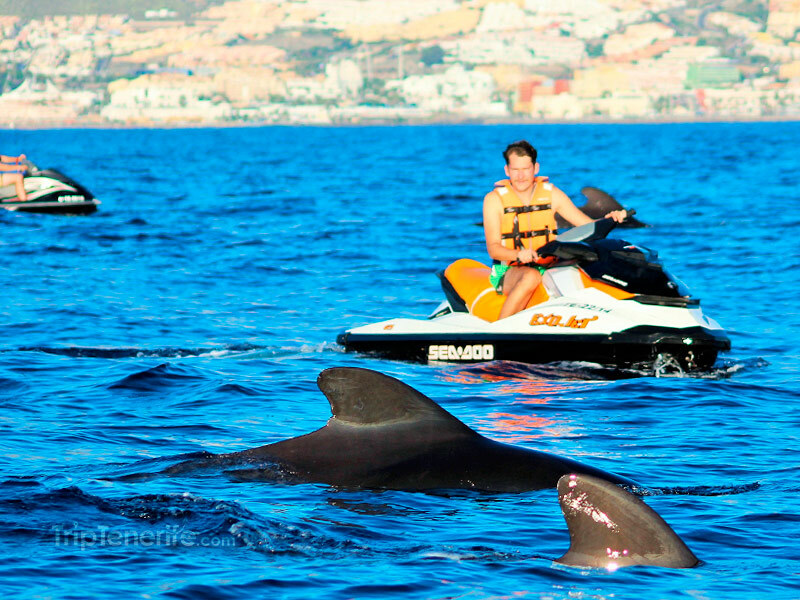 2 hours Jet Ski Safari: From Las Americas to Palm-Mar. 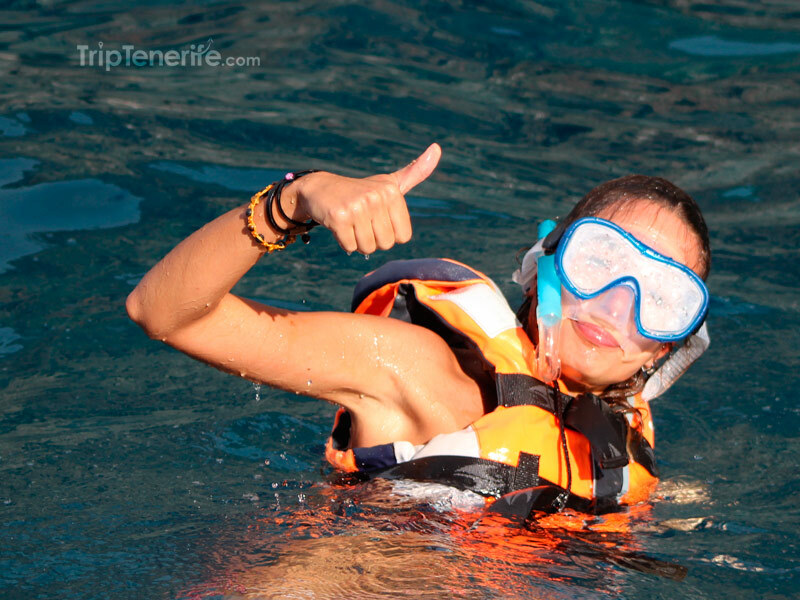 You get the opportunity to snorkel (Recommended). Driver must have 16+ years old. Passengers must have 8+ years old. Took a 2 hr jet ski safari this morning, 2018 model jetski, clean life jackets, easy to ride, really professional and well organised. 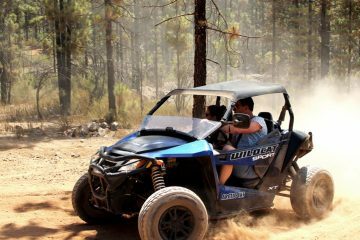 Overall if your in Tenerife you have to try this out! We had 1h trip and it was amazing. The safety instructions were very clear. All the staff were very friendly. They sent us the pictures in less than one hour. Strongly recommend. Brilliant trip, me and my girlfriend both thouroughly enjoyed the 2 hour Safari. The Jet Skis are modern and the route you take is fabulous, All staff are friendly, Especially if you are looking for English speaking. 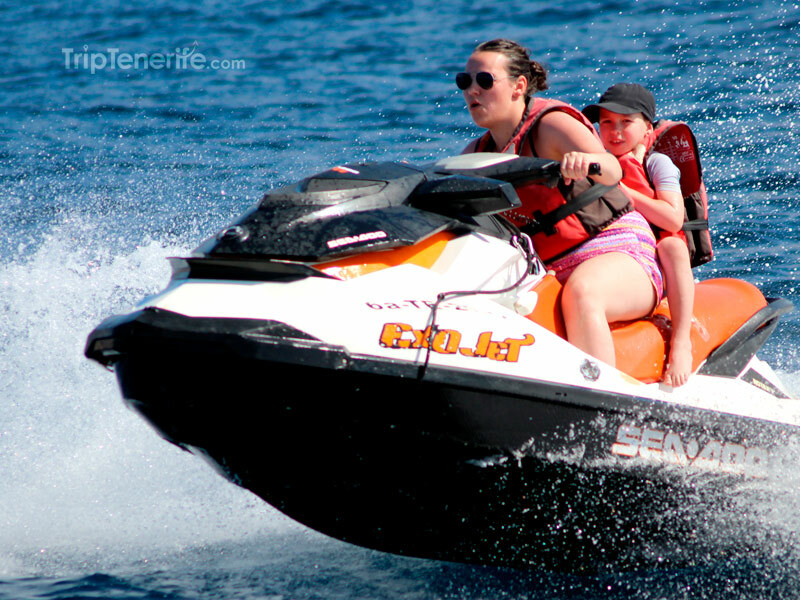 I’ve never been on a jet ski before but always wanted to try it.We went on a 2 hour trip – 4 girls sharing 2 jet skis. We had a day with pretty rough seas. Very Good fun.